Like all children, my kids love watching movies. We always have my nephews and cousins over at our house and around 7:00 pm I hear the magic words: “Can we watch a movie?” The answer is usually yes, but one of the things I hate about family movie night is the sprinkling of popcorn that ends up all over my living room. So, I was more than happy when I received a cute and healthy alternative in the mail. Bolthouse Farms Kids™ Carrot meets Ranch snack was a hit at our extended family movie night. Both my nephew and middle son loved the snack and loved shaking up their tidy little bag to make sure each fresh carrot was lightly-coated with the all-natural ranch seasoning. And, I loved the lack of clean-up that came afterwards. This new line of healthy snacks can be found in any Giant Eagle produce section. Just like all Bolthouse Farms Kids™ snacks, our crunchy carrots contained no added preservatives, high-fructose corn syrup, or artificial flavors. Plus, carrots aren’t all Bolthouse Farm Kids has to offer. Check these out! Squeezable fruit tubes in Mango Meets Banana & Pineapple, Strawberry Meets Banana, and Blueberry Meets Raspberry that can be served chilled or frozen. And let me tell you sistahs, these snacks are tasty. I have to admit that out of the two kid-size smoothies Bolthouse sent us, one of them ended up in my belly. Bolthouse Farms™ smoothies and juices are a regular on our grocery list, so I couldn’t resist when we got our little smoothies in the mail. You and your kiddo can WIN a chance to try Bolthouse Farms Kids™ snacks too just by tweeting. Be sure to use the hashtags #Snackmob and #Contest in your tweet, and include the date and type of event (e.g., soccer tournament, block party, etc.) in your entry. Contest ends Sept. 10, 2015 at 11:59pm. You must be at least 18 years old to enter. Maximum of 100 people per event. I’ve also got some other great news mamas! Bolthouse Farms Kids™ will be attending Pittsburgh Brown Mamas’ final Park n’ Play of the summer at Mellon Park from 1:00 – 5:00 pm on Saturday, August 29th! 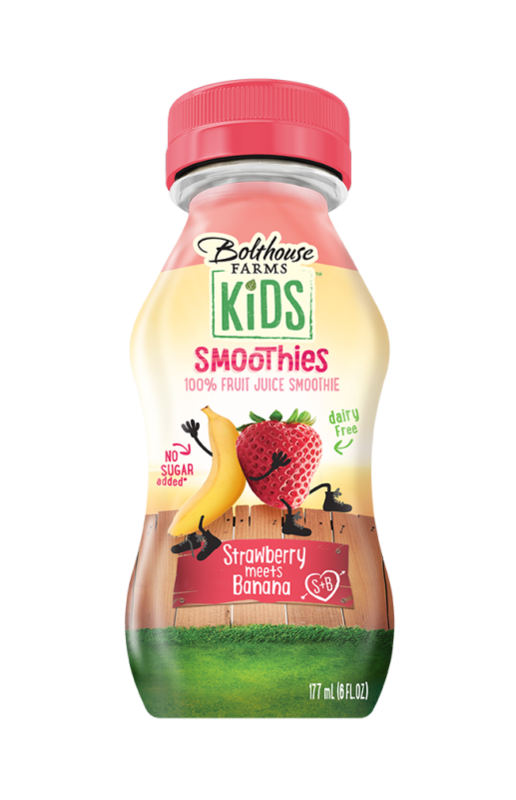 The Bolthouse Farms Kids™ Snack Mob truck will be sharing FREE samples of their products with kids and parents alike. If you can’t make it to the Park n’ Play, that’s okay. Throughout six weeks in August and early September, the Snack Mob team will be stopping by select Giant Eagle stores and many community events throughout the ‘Burg. Here are just a few of the community events Bolthouse Farms Kids™ will be attending. If you don’t see your neighborhood on the list, click the button below for a full list of events Bolthouse will be attending. This post is brought to you by Bolthouse Farms Kids™ and The Motherhood. All opinions are my own.